I know that you like to dress relaxed. This because you are a woman that loves being comfortable in any situation. When we are talking about a casual outfit the color is important too. Of course pink is a special color and if you will choose a pair of pink pants then let me tell you that that decision is a bold and very chic one. With this type of pants you can create all kind of very interesting combos. All the looks you can get with them are totally chic and relaxed. –	An interesting combo would be with a formal shirt (yes, you read right, a formal shirt). It will create an exceptional look and as for footwear try a pair of stilettos. –	With a T-shirt. The classic and common T-shirt can be a great choice. –	Pink pants look amazing with a tank top. 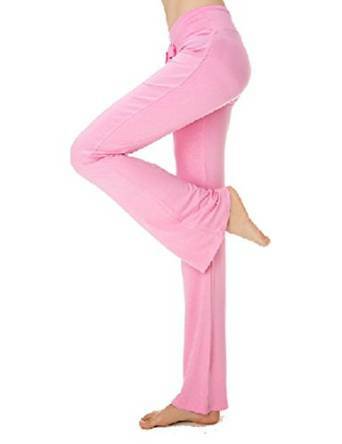 No matter your choice, if you really love to dress casual, a pair of pink pants can be a stunning option for you.